German Chancellor Angela Merkel received a standing ovation for her speech at the Munich Security Conference. The top German official condemned the US’ recent unilateral moves, namely, its withdrawal from the Intermediate-Range Nuclear Forces (INF) Treaty with Russia and the nuclear deal with Iran. 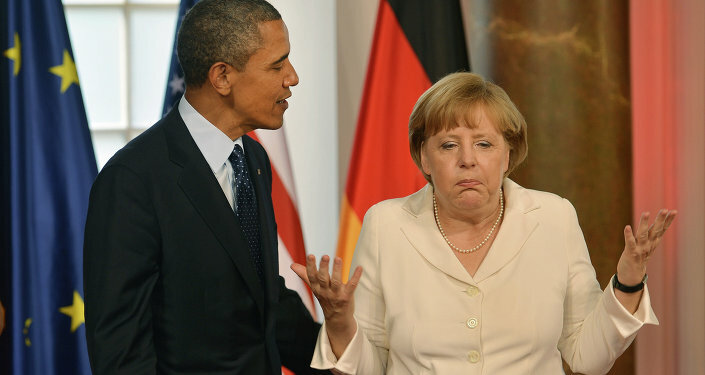 Merkel said that the overall architecture underpinning our world as we know it has collapsed into many tiny parts. Sputnik discussed Angela Merkel's speech with Mohammad Marandi, a professor at the University of Tehran. Sputnik: What is your take on the decisiveness of Angela Merkel's speech? Mohammad Marandi: I think it is a part of a much bigger picture and that is that the United States under Trump is isolating itself at multiple levels. It is at conflict with China because it sees China as probably the most important long-term threat to the country. It is in conflict with Russia, not because of Trump, ironically, but because of Trump's opponents who want to wreck his presidency, so they antagonise Russia, and, of course, Trump has antagonised Europe, he's bulling Europe. He's antagonised much of our region, Iran, by exiting the agreement. So he's basically isolated the United States from much of the world, and I think Merkel's statement about a fragmented world order is reflecting this reality that until a few years ago the United States was at the head of a very large coalition of people or regimes, and now that coalition has, to a large degree collapsed, even those that remain are unhappy. Sputnik: Mrs Merkel also noted that Russia should not be excluded from global cooperation efforts. Prior to that she criticised the US decision to withdraw from the INF Treaty saying that it has put Europe in the middle. Professor, how would you characterise current relations between Europe and the United States? Mohammad Marandi: I think what the Americans are doing is they're trying to divide Europe anyway. I believe that the United States wants to see a weak and divided Europe, and they are backing or putting more focus on Eastern European countries like Poland, that's the reason why the recent conference was held in Poland, made the major European powers quite unhappy. So I think the Americans are trying to divide Europe on the one hand, but on the other hand, I think the Americans are basically sacrificing Europe. 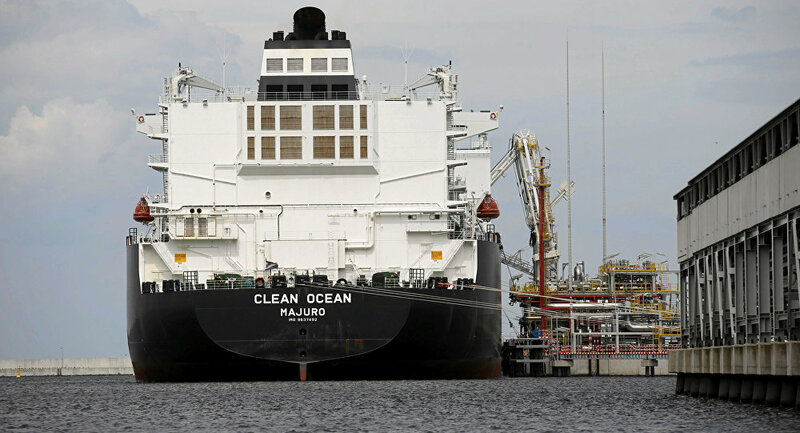 The reason why they don't want to see increased oil or gas exports from Russia is because the Americans want to force the Europeans to buy much more expensive gas from the United States. In other words the Europeans would pay out of their pocket to fund America, and that shows an increasingly selfish attitude by the regime in Washington, even when it comes to its own allies or so-called allies. Sputnik: Professor, do you think this aim of dividing Europe will change under Mr Trump's successor? Mohammad Marandi: Well first of all we have no idea if Trump will not be re-elected, but I think that Europe is already beginning to show signs of stress as it is. Not only do we see Brexit, not only do we see the riots or better said the protests in France, but we see an enormous amount of discontent in Europe because of the way in which Brussels is behaving as a non-democratic body and in the interest of the elites, and at the expense of many, many millions of people, especially in southern Europe. Sputnik: So you think Europe will continue to distance itself from Washington? Mohammad Marandi: It's difficult to say, but I actually think the future of the EU is under question. I think that the EU is showing signs of potential fragmentation, at least parts of the EU show signs of fragmentation. I think the stress is increasing and I think Trump is actually pushing it in the direction of greater fragmentation. Sputnik: European Union foreign policy chief Federica Mogherini said "Europe and Tehran are committed to cooperate on further implementation of the instrument (in Support of Trade Exchanges) that would allow to bypass US sanctions." What response could we expect from President Donald Trump? Mohammad Marandi: It's difficult to say, because the Europeans so far they really haven't shown clear indication that they're willing to seriously stand up for their own rights. The Europeans have so far been unable to protect their citizens and their companies from American sanctions, even though the Europeans signed the nuclear deal and they're violating the nuclear deal because they're abiding by Americans demands. So the Europeans are showing small signs that they want to be independent, but these aren't really important steps so far. But the interesting thing is that the Americans are basically sacrificing Europe at all levels. When it comes to Iran the Americans are sacrificing Europe, when it comes to the American military posturing the Americans are still sacrificing Europe. So the withdrawal of any nuclear arms agreement, basically, is a threat to Europe more than anyone else. Sputnik: Professor, will Europe be able to uphold the nuclear agreement on its own? Mohammad Marandi: Europe is not on its own, the whole of the international community supports the nuclear deal. Russians and the Chinese as two key members of the international community and permanent members of the UN Security Council also support it, so it's not as if the Europeans are on its own, but at the moment the Europeans have not shown the amount of strength and independence that the Iranians expect from them. And by showing signs of weakness the Europeans are telling the international community not to take them so seriously. So I think it's very important for Europe to be able to show itself to be strong, but also the West-Asia and the Asia [regions] where Iran, Syria, Iraq exist is a key region for Europe, both economically but also security wise, so any instability in our part of the world creates major problems for Europe.